I’ve had a lovely afternoon with my daughter. I spend a significant amount of time taking my sport mad boy to and from fixtures and training for both rugby and football so we spend a lot of time chatting en-route. I rarely get this opportunity with my (young teenage) daughter. So we walked into town and spent a few very happy hours perusing the make-up counters, looking at hair products and, of course, going for the inevitable hot chocolate. I look at her and wonder when she changed from a cute pig-tailed little girl into a beautiful, intelligent, thoughtful, kind young woman. I wear each of these pieces often but this is the first time I’ve worn the Chelsea boots with the skinny jeans. I have a beautiful new bracelet too. 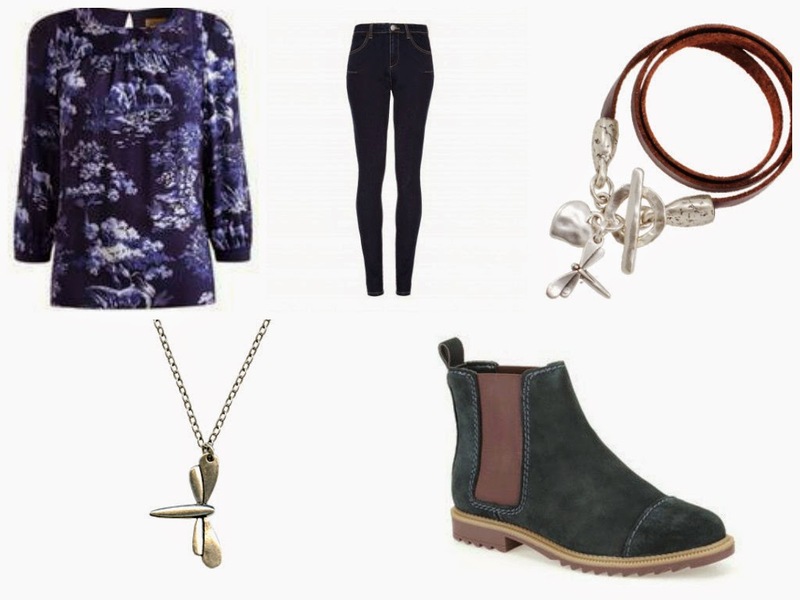 It’s by Danon and matches the dragonfly pendant that I wrote about last month (love dragonflies). 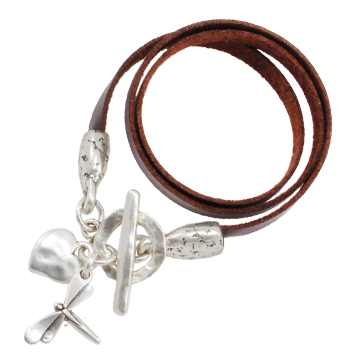 It’s a gorgeous bracelet in brown leather with dragonfly and heart detail. It’s described as double wrap but it actually wraps around my wrist three times. The leather is beautifully soft and the bracelet is very comfortable. It's good to connect with our family, in a real way and not just a practical one. Glad you had the chance to talk to your daughter. I'm sure she appreciates it.